Adam Pollard aka Multiplier delivers an in-depth video series all about getting the most out of your computer and DAW, when recording and producing music! Shot in Ableton Live on Mac OS and applicable to any OS and DAW, see how to squeeze every drop of power out of your rig and avoid time wasting snafus. Adam welcomes you and then covers one of the most effective ways to free up CPU power, bouncing to audio. See how and other similar techniques that will give your CPU a sigh of relief. Buffer Size, Latency and Sample Rate are then all explained and explored so you can optimize your sessions for better performance. Throughout the rest of the series Adam covers some basic and not so obvious solutions for getting the most out of your recording system, such as computer cooling and airflow, using multiple displays, utilizing Multicore CPUs, storage types and common issues, 64bit vs 32bit, proper workflow practices, plug-in quality settings and what they mean, and much, much more. See the individual tutorial descriptions for more info. If you use a computer for making music, this series can be a real eye-opener. 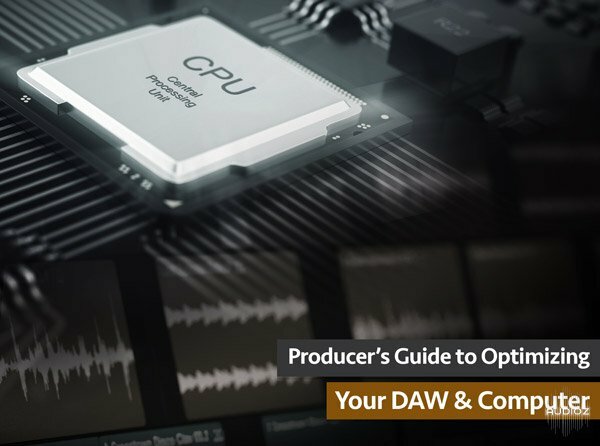 It's great for beginners or experienced users alike, and will hep you get the most out of your recording rig... Watch "Producer's Guide to Optimizing Your DAW & Computer" today. Groove3 Producers Guide to Optimizing Your DAW and Computer TUTORiAL-SYNTHiC4TE has been exclusively released on AudioZ by Horsemen who chose to ask not to post mirrors. nice tutorial though it should be kept in mind that not everyone is of native English language, this guy's speech slurs too much !